After yesterday's post it seems like a little compensation is in order. Here's what a friend of Circus Tent sent us today, it was on E-Bay before Pesach, and it's a treasure. Many of the pictures were unknowns, at least I think they were. (The Chakal Yitzchok of Spinka, Harav Yitzchok Eizik Weisz, Hy"d in Munkacs, presumably at the Levaya of the ME. On his right with long Peyos looking away is his son Harav Naftoli Tzvi of Bilka, Hy"d, who we showed here Al Pischo shel Gehenom Auschwitz). Let me preface this thread by saying that I have a very soft spot for the Old Munkacs, particularly the Minchas Elozor. Not that what I think matters, but you get the drift. The Rebbe was very fond of him, as was the Frierdige Rebbe, as is my Tatte, sheyichye, so I have it from all sides. The Rebbe in "Sefer HaMinhogim - Chabad" brings him all the time, even when disagreeing with him, or when the Minhog Chabad is different. 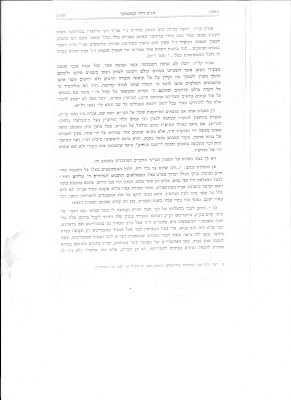 The Frierdige Rebbe has countless letters to the ME, where he laments the Matzav regarding Zionsim, Mizrachi and Agudah, and the two met in Marienbad when convalescing there. 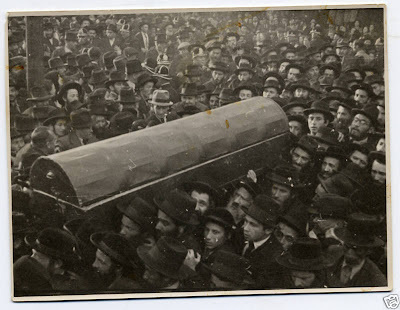 Even Chana Gurary, the FR's eldest daughter, asked to buried in the Munkacser BeisOlem in New Jersey because of the great respect her father had for the old Munkacser Rov. She said that while staying in Marienbad the only person her father would make the effort and answer the telephone personally for was the Munkacser Rov, the Minchas Elozor, zt"l. I think I've prefaced enough, now on to the issue at hand. 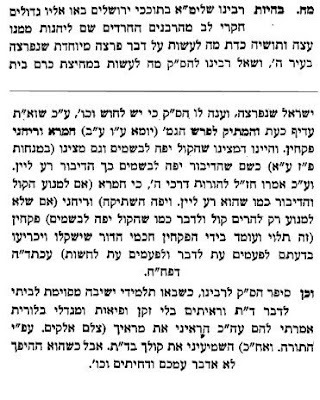 The Minchas Elozor had a very interesting connection to the "Saba Kadisha," Harav Shlomo Eliezer Elfandri, zt"l, a Sefardic (Iraqi) Mekubal who later lived in Israel and died at a very old age, maybe 110 or so. 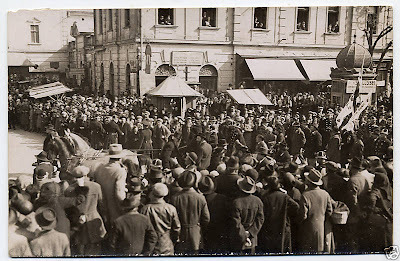 Harav Elfandri was anti-Zionist enough so that the Rov could "hold" of him. 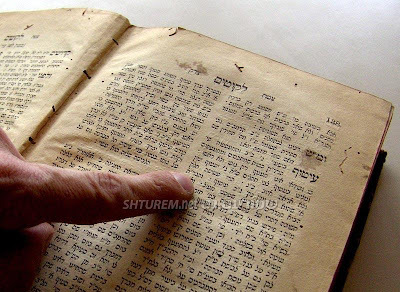 In 1930 the ME made a trip to Israel which was made into a sefer, Mas'os Yerushalayim. If I remember correctly part of the reason for his trip to Israel was to see the SK, and if IIRC the SK passed away while the ME was there. It seems like all those years of bashing Rav Kook and the Mizrachi was enough to buy himself lots of enemies, much like the Satmar Rov did. 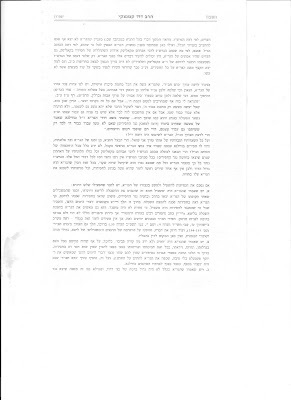 These people now have exposed the censorship that has taken place in the future editions of Mas'os Yerushalayim, seemingly because the words there were simply too harsh and made the ME look bad. They also have some theories as to whether or not there was really as close a relationship between the ME and the SK, as the Munkacser said. 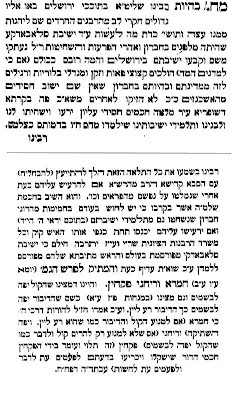 Another issue discussed there, and one of those that was touched up in later editions, is what to do about the Slabodker/Chevroner Bachurim that recently arrived in Yerushalayim. 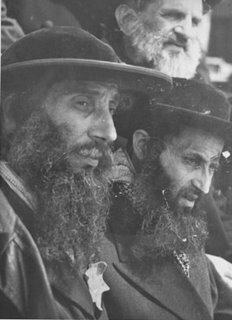 Only a year before many Bochurim were slaughtered by the Arab mobs, and they - along with all Jews in Chevron - were evacuated to Yerushalayim. It seems like the zealots weren't happy that these modern boys were walking their holy streets, and they voiced their displeasure to both the ME and the SK. 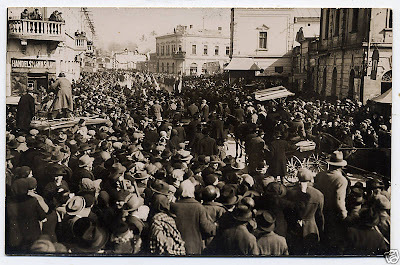 It's interesting to note that many of these zealots were descendants of the "Perushim," and were from those same areas in Lithuania as the Bochurim were, but they weren't happy with the changes that happened back in Di Lita, especially in Slabodka, where Maalos Ho'Odom was high on the list of priorities. 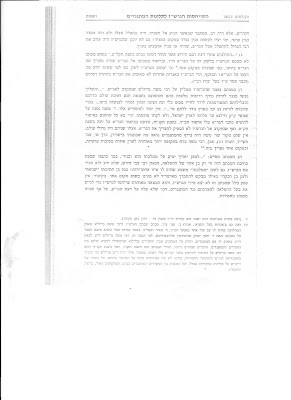 According to Mas'os Yerushalayim they were to be left alone, on the SK's orders, since they would otherwise fall into the "net" of Rav Kook and his minions. 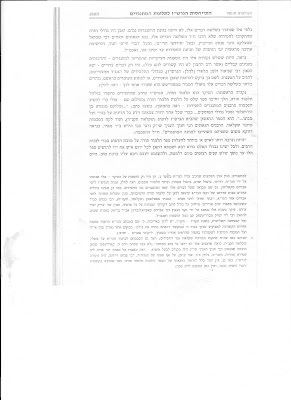 While on the topic they get in some underhanded jabs at Reb Moshe Mordche Epstein, Ayin Shom VeTimtzoh Nachas. All in all the thread makes even a big believer rethink his attitude towards the ME, which is sad. It goes to show you one thing: it doesn't take very much to "mach kalt" one's Emunas Tzaddikim/Chachomim, not much at all. 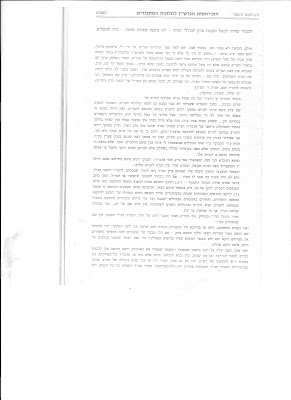 In the second (newer) print Rav Kook's name is omitted. I realize many of you have little time or patience to go through 16-18 pages of text plus fine print, I wouldn't either if I didn't need to. So let me explain what we have at hand. 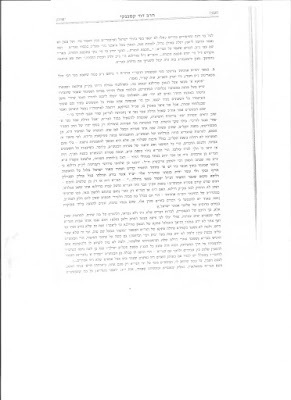 What we have in the pretext of a defense of the GR"A is an all-out attack on both the Previous and Last Lubavitcher Rabbeyim. The author - I'm told - is a grandson of the late Reb Yaakov Kamenetzky, (Reb Shmuel's son) so I guess we can say he had a proper education from his zeide re: chassidim... The worst part of it is that it happens in a prestigious periodical like Yeshurun, one where many revelations and "pirsum rishons" of chidushei torah are first aired. It's not Circus Tent. One might also say that the attack is an unprecedented one, one where the writer's opinion is fully evident in his writings; there's absolutely no diplomacy here. 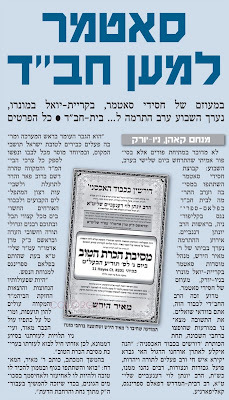 I also think that the title is very misleading; one would think that the conversation here would be about the Alter Rebbe's approach to Misngadim, but there's very little of that, most of the article is good ol' fashioned Lubavitch-bashing, a bashing that would make Avigdor of Pinsk very proud. Let's start with allegation 1, shall we? 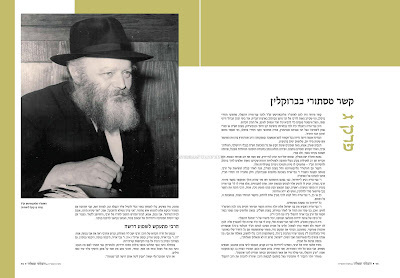 According to Dovid the Alter Rebbe went on the defensive when he wrote Hilchos Talmud Torah. He realized that the taynes the misngadim had against chassidim were just, so he went and wrote about the importance of limud hatorah, so that he could say, see? we also think learning torah is important. 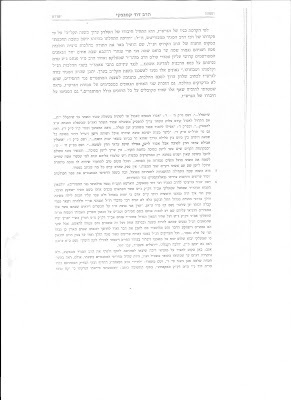 He cites a letter from the Alter Rebbe to Reb Avrohom Kalisker 14 years (!) 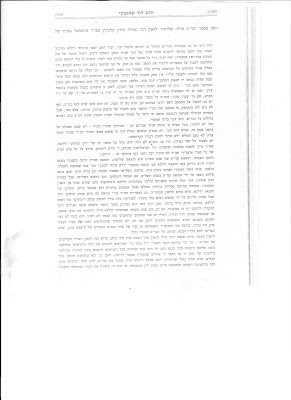 after the printing of HTT where he speaks of the Aveiroh of Bittul Torah and Mevazeh Talmid Chochom being an Apikores, as proof that he had a problem with the "generally accepted principle" among chassidim that torah was not important. A very nice theory. I just have one problem: if chassidim were a bunch of Ameratzim why would writing a sefer like that help? they were peasants anyway! Also, why would the Misngadim LeChassidus care if the hamon am learned or not? they were nothings that needed to know their place, which was to keep quite and respect their learned elders! There was no effort to educate the hamon in those places; only the best learned in yeshivos and the rest languished in their ignorance forever, a caste system all of its own, if you will. 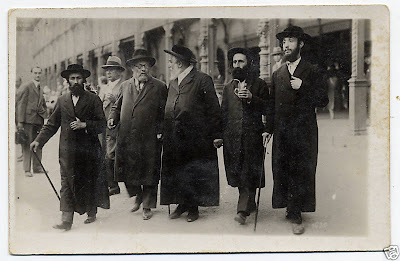 As far as the Gedolei HaChassidim and the second generation leaders of Chassidim go; there's no doubt in any Baal Sechel's mind that no madregoh could ever be reached without the basis of limud hatorah. 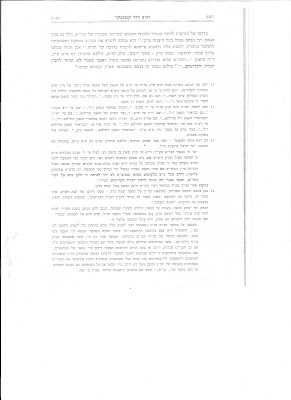 To think that there was a lack of stress on limud hatorah is utter foolishness. 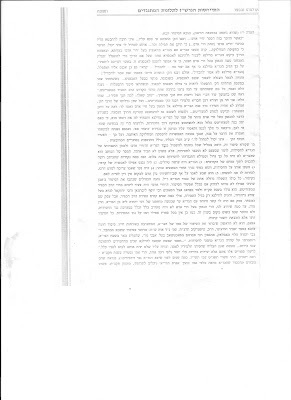 The fact that Reb Chaim Volozhiner was so afraid about Bittul Torah that he wrote to his talmid who became a chossid not to stop learning and be machshiv torah is nothing more but a testament to the propaganda that the Misnagdic spin machine was churning out. I have to find a person heavily into learning torah stop learning torah just because his movement didn't stress it enough. Former talmidei hayeshivah were known to continue learning even if they left the fold, so why should chassidus be any worse than that.If my arguments sound a bit lame to you, realize this: lame questions get lame responses. The fact that a prestigious Kovetz like Yeshurun would give 18 pages to gibberish like this tells me that they're scraping the bottom of the barrel when it comes to Polemics. If they need ideas get a load of this: Rabbi Hershel Schachter (so a reader tells me) says that swordfish is kosher! It has fins and scales, and that's all that counts. Don't believe me? go and ask the Rabbi, he's a nice enough guy, he'll give you all the time in the world. 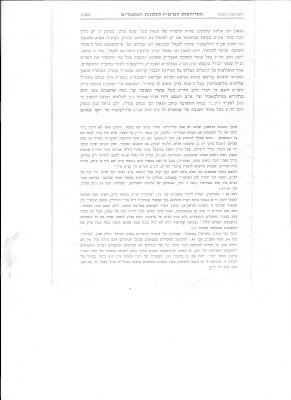 A very generous reader took the time to scan the article in Yeshurun and e-mail it to me. It's not so much the Narishe Taynes he has as much as it is the disrespect he has for all things Lubavitch in the last 88 years. The truth is that the so-called respect he shows for the Tzemach Tzedek is a farce, he does it only to make his point. The Rebbe is referred to only as המו"ל of the Tshuves Tzemach Tzedek, nothing more. This 2-bit nothing writes worse than even I do, yet he gets the platform of a very respected journal. What we do see is that based on the "proof" that he brings all the way in the end he's nothing but a snag. "I am writing to you on Motzoei Yom Tov here in Eretz Yisroel. I just read, this afternoon, a disturbing article in Yeshurun. 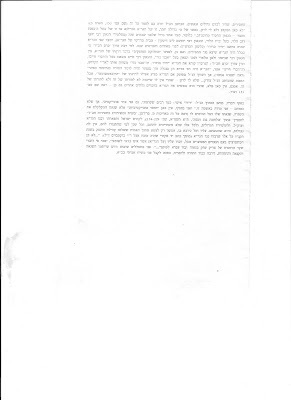 The article is entitled "הגאון ר מנשה מאיליא". The problematic piece is the appendix "התייחסות הגרש"ז לתלונות המתנגדים." The writer, one Dovid Kaminetzky, deals with the complex relationship between Chabad and the Misnagdim. There are some very biting comments about how Chabad today relates to the Shulchan Aruch Harav (sarcastic comments I should add). There is also a disrespectful jab at the itztiker Lubavitcher Rebbe Z"l. It's one thing to have a heroa; a personal attack is quite another. The article falls into the latter group. It's Yeshurun 20. You should be able to get a copy at Tuvia's (I assume that you live in Monsey). 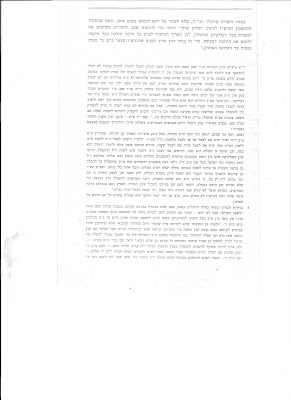 It is well worth it and I think that you can squeeze a few posts just on that article itself (it mentions Rav Hutner's complaint about Kehot's reprinted Tzemach Tzedek....). There's a lot packed in to that e-mail. I have yet to get to Tuvia's, Chol Hamoed praven takes time, especially when you have all year of no family time to make up for. So the blog suffers too. I apologize for that. Is Dovid Kamenetsky Nosson's son? Is this a Kamenetsky tradition he's carrying on here? And why is Yeshurun the במה for controversy of this sort? First it was the הגאון controversy, and now this. 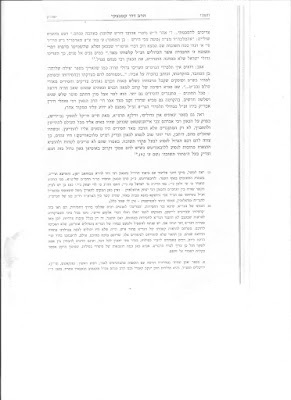 Mottel commenting on Circus Tent:Should These Boys Be Home For Pesach? Many Chassidishe Yidden sent their children to the Tomchei Temimim yeshivah network in Poland. A Gerer chosid sent his son, Leibish, to learn in Chabad, and much to his chagrin, found his son was no longer able to spend time with him on Shabbos. 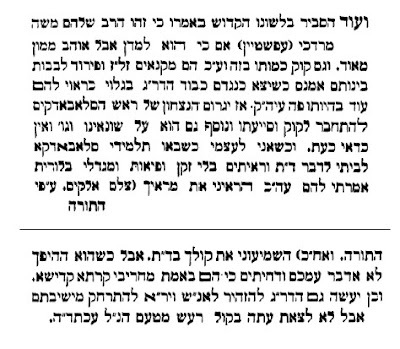 The bochur would daven b'arichus on Shabbos, run home and eat quickly -making kiddush on challahs (apparently there were two different standards in hashgocha on wine) eat the now cold food (I can't recall if he trusted the shechita on the meat or not), and would then run off to farbgreng etc.The father one week told his son that he didn't understand him -the boy had no olam hazeh and no olam habah -the food was cold, he didn't have time to take a nap, or to chap a shiur before mincha. etc.The son turned to his father and said,"Tateh, du bist doch a beheimah." The father was furious. He went to R' Chatshe Feigan and made very clear that he was not happy with the direction that his son's education had taken. R' Chatshe calmed the father down, promising that he would speak to the bochur. When he did, he said told him that he would could never say such a thing about his father, but ended saying,"Ober trachten meg men." Tzigele, it's mesiras nefesh, it's kabolos ol, but pesach is about those inyunim -mitzad echad matzoh has no ta'am (as a opposed to wine, or even matzo ashirah) mitzad sheini, it must be eaten -not just swallowed . . . a geshmak in kabolos ol. I know a shliach who's bechor learns in a cheder out of town. The boy, now 13, has come home for a few days, then gone off to help bochurim make a seder out of town -he's been doing this for the past few years. Now that is mesiras nefesh -uber vi ken es zayn anderesh? Ad Kan From Mottel. I always had a problem with the outreach work of Lubavitch, not Chas Vesholom that I felt it was wrong, I just couldn't get used to doing it myself. I guess my Ungarishe Neshomoh never really went away. As a bochur I'd go with a friend or older bochur to the Russian neighborhoods in Brooklyn and do things like give out shabbos candles and chanukah candles, but it wouldn't come easy. The same goes for Friday afternoons putting on tefillin with yidden; once I'd be there it was easy, but it was never my thing. I guess that makes me predisposed to NOT doing outreach. Old habits die hard, they say, and the Yetzer HoRah always finds excuses why NOT to do what you're supposed to. Of course there can always be Yenikas HaChitzonim, and mivtzoyim/outreach is no different, especially since the nisyonos can be much greater, but that shouldn't deter one from doing what needs to be done. 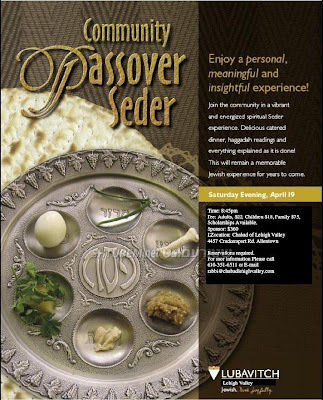 By now most bochurim that traveled the world to make sedorim for yidden are home, enjoying Pesach with their families, and maybe even asking a belated Mah Nishtanoh? Rosh Yeshivas Chofetz Chaim Passes away at the age of 91. Here's what I know so far: He was born near Kovno in 1916 to his father Harav Dovid Leibowitz, who later was a member of the Kovno Kolel. Reb Dovid was a great nephew of the Chofetz Chaim, zt"l. In 1926 RDL came to America to collect funds for the Kolel and was asked by RSFM to stay here and accept the position of Rosh Yeshiva of the newly-founded Mesivta Torah VoDaas. Much of RDL's history was mentioned in this post. 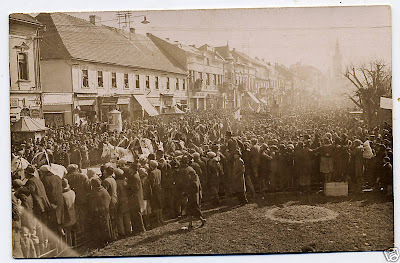 I haven't heard a date when RDL brought his family to America, he didn't have them with them in 1926, and I wouldn't be surprised if they stayed in Kovno for a while longer. 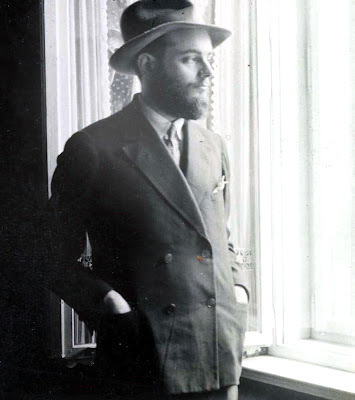 I know that RDL passed away at a young age in 1941, and that RHL, in his mid-20s became the Rosh Yeshiva of Yeshivas Rabbeinu Yisroel Meir HaCohen, the Yeshivah his father had founded 7 years prior. 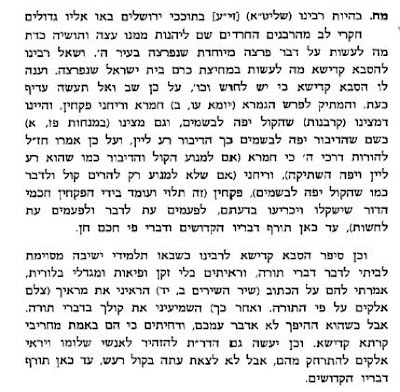 RHL himself married Pesha, the daughter of Rav Avrohom Trop, son of Reb Naftoli, z"l.
I'll go out on a limb here and say that Chofetz Chaim is the black sheep of the Yeshivisher Velt, even if you thought Chaim Berlin was. 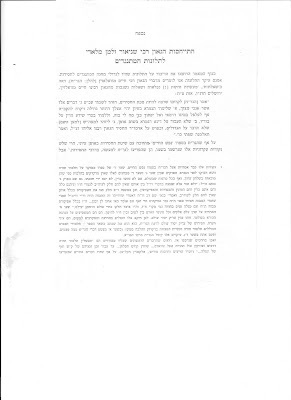 Reb Henoch didn't seem to be affected by the whole Eretz Yisroel/Brisk revolution among the rest Yeshivisher Velt. I don't recall seeing his name on various Kol Korehs, nor do I think he was on Moetzes. No six-inch wide Brisker Peyos, neither. His Talmidim are what you call American. Some wear ties during the week, just like many others did through the 60s; Chofetz Chaim saw no reason to change, even if the others did. 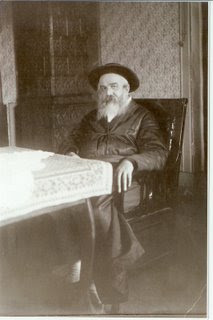 Reb Henoch built a large network of schools and Yeshivos; he saw it as his goal to build yiddishkeit in America, and he did that to his last days. Chofetz Chaim today is a movement, if not a lifestyle; they wear their Chofetz Chaim pride on their sleeves, thanks to RHL. His Talmidim had a unending amount of love and respect for him, even decades after leaving yeshiva. He leaves behind thousands of talmidim who grieve for his loss. Pesach is here. If you have a family you know what kind of financial burden it is to feed and clothe even a small family. When Pesach comes around the responsibilities are tenfold. Not only is there the immediate YomTov to worry about, but Pesach is also when you need to concern yourself with all of the needs of the next few months. Anyway, recently many in frum communities have taken upon themselves the noble task of supplying families with many of the Tzorchei haChag, namely food and wine. In Eretz Yisroel it's quite common, but in America it seemed like it was beneath most people to accept handouts, even for Pesach. In Eretz Yisroel we're used to the Tzedokoh organizations showing pictures of Yesomim r"l who lack the necessities for YomTov. In America they seem to think that all have enough, no matter what. 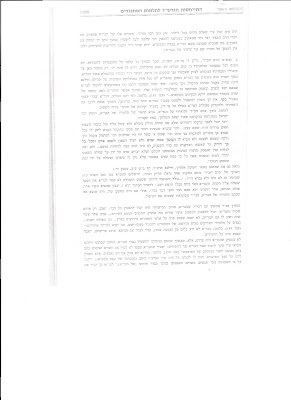 A current ad/announcement by Boro Park Tomchei Shabbos made mention of them providing food to 1200 families, and that for Pesach they've instituted a voucher system instead of delivering packages to peoples' homes. 1200 out of some 20,000 families doesn't seem like much, and I doubt it covers a fraction of those who need. 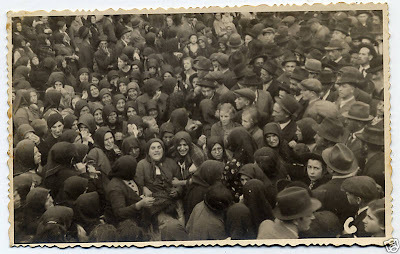 We can talk about the fact that although years ago there were handfuls of people who couldn't afford basic necessities for YomTov, now there are hundreds and thousands. What happened? How did the American dream skip our communities? Draw your own conclusion. A friend of mine told me that had the above-mentioned Chalukah taken place in Boro Park nobody would come. That in Williamsburg az m'git nemt men, and nobody's embarrassed to take. In Boro Park the same Satmarer Yidden wouldn't take, even if they needed it desperately, es past zei nisht. This friend was very happy that they had the food distribution yesterday in Williamsburg; it was his partei that was doing it, not the other one. People today have needs that a generation ago was considered totally superfluous,and families today are much larger than they used to be. The cost of living is much higher than 30 years ago, and a much greater percentage of earnings goes to food and housing. So we have a paradox of greater prosperity coupled with greater need. Yet, people seem to be able to afford it, at least judging from the new cars and summers in the bungalow colonies. Maybe it's the fact that people today have credit cards that pay for everything, so there's no need to borrow, hence people don't know when you're in need. So to summarize we have the following: we have more people needing but not taking. We have organizations beginning to realize that even in America there are many who haven't the capacity to provide for themselves over YomTov, and even throughout the year. Yet the ones that take show up in brand new vehicles, not thinking that maybe it's a little weird. I'm not sure of the point here, it's mostly observations without a final opinion on the matter. Zol der eibishetr gebben that none of us should ever know need, and may he bless us מידו המלאה הפתוחה הקדושה הגדושה והרחבה. Until then may he bless those that make sure that no Jewish family lacks Tzorchei HaChag. Should These Boys Be Home For Pesach? When it comes to Chabad Peulos people can be very funny, irrational really. They have a very hard time giving credit for the good work they do, so they find ways to passel their work. Words like "There's no chiyuv to be mekarev these people," to "They're mekarev to Chabad, not to Judaism," to "There's no heter to live in a place with no chinuch etc. just to be mekarev yidden," are quite popular among some people. I don't address those people here. As is the case with every Peuloh Tovah sometimes there can be Yenikas HaChitzonim when it comes to Shlichus (kiruv). Not that I'm here to judge anybody here either; I'd like to discuss Pesach and shlichus. I hope the Lubavitchers among you will find the Ahavas Yisroel to forgive me for what I'm about to say. I think I've proven myself enough for you to give me the benefit of the doubt, and understand that what I'm saying doesn't come from hate, C"V.
I remember the time that an elterer yid called up a Lubavitcher mossad where I was working to complain. The mossad couldn't really help him, but that was the one he saw in the phone book, so he called. He had heard from his daughter that their child (his grandchild) was going off to some far-away country to lead a seder for a bunch of yidden who had no Rabbi there. This Yid was an elderly Hungarian Yid who's daughter had married a Lubavitcher Bochur, with his blessing, and had set up a nice family. (I'm not talking about myself, believe me.) He really had no problem with his grandchildren's lifestyle, but the not-being-at-home-for-the-seder thing was a bit much for him. Vee Iz Doos Gehert Gevorren? he asked, that a child leaves his parents' home on Pesach??? A child has to be home with his parents, and help prepare for YomTov, like all others do. 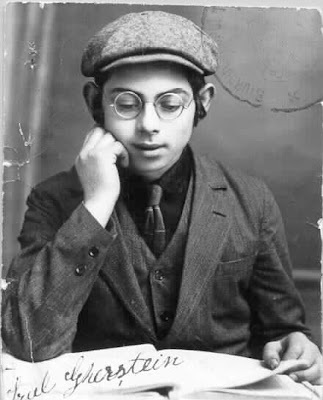 Let the yidden there make their own seder, he said, this kid has to be home! Can I blame him for saying that? absolutely not. Other than traveling to a Rebbe most people stayed home or traveled home for Pesach, why should his eyniklach be any different. This girl has the (mis)fortune of being born to a very rich father, one of those who tells his kids "do as I say, not as I do," if you know what I mean. It seems like she did what her father told her to do for the most part, but then had a difference of opinion as to whom she should marry. So she went and got engaged to him anyway, even posting pictures of themselves on Only Simchas. All this time the father was planning to disrupt the wedding by all means necessary. I mean ALL means. The boy's father, on the other hand, is a yeshivisher-type man who supported his son's choice of bride, and went ahead with the wedding plans. Not to be outdone, the girl's father went around the Rabbonnim and Roshei Yeshiva in the Holy Land and informed them of the great Avloh that's about to happen, that a Bas Yisroel is to marry against her father's will. It's a very novel idea, that maybe other disgruntled parents should think about when this c"v happens to them, but I don't think the Torah will help them in such a case. Before you call me insensitive to a father's wish, remember this: i too have children, and I too would be devastated if my daughter came home and told me that she found her Basherte, or that Mume Liba, or Choshkoh, made the shidduch for her, if you know what I mean. I would try hard to talk her out of it, and, if necessary, would boycott the wedding. But to go to Rabbonim and make them sign letters that the wedding shouldn't go on?? what kind of monkey business is that? 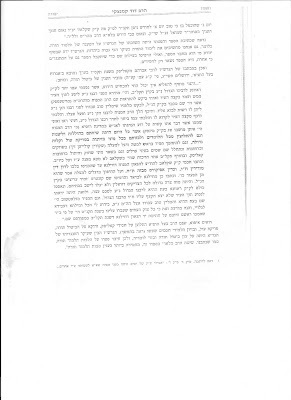 then the tzaddik goes and pays a bunch of unemployed Yerushalmim a hundred pounds a piece to go and demonstrate in front of the hall; they should be mocheh on Bizuy Rabbonim if you will. What a joke. If recent events here and in Israel didn't do the trick of killing the respect for Rabbonim among the skeptics, this surely banged the last nail into the coffin. Why then do I say "Long live Daas Torah" if Daas Torah is dead? Very simple. Daas Torah will rise again, and those that don't know better will buy into the hype once again. One thing the Satmare Yidden know how to do: Parlor meetings and luncheons. Just kidding. What we have here is what you might call Hakoras HaTov. many Satmare Yidden, including the Satmar Rebbe past and present, spend some of their winter vacation time in sunny Palm Springs, California. They spend their days and weeks at the Beis Chabad in Palm Springs, under the leadership of Harav Yonoson Denebeim, enjoying the minyonim there, yet maintaining their lifestyle. Reb Shlomo of Bobov would spend weeks there during the winter, as does the Munkatcher, Pupa, and others. For them Palm Springs is paradise, as it should be; There you can relax, and live your life just like regular people do, with very minor differences. Well, maybe they wouldn't shpatzir with the Rebbetzin like normal people do, and maybe they wouldn't walk the roads wearing white sneakers, but life there is toned down considerably. Most Rebbes are very makpid to continue the traditions of their forefathers, at least in the vacation minhogim they are. After a month of davenen for the amud and dancing hakafos most Rebbes need a month in Palm Springs or Miami. The latter is maybe too close to home, and there are way too many Jews there, so Palm Springs is a favorite among some of the Rebbes. 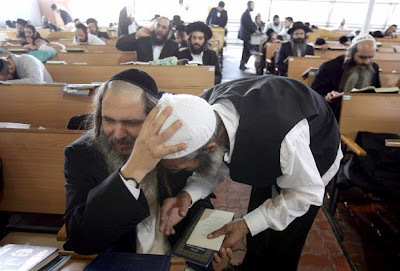 Rabbi Denebeim gives them all that they need; a shul stocked with seforim, kosher food, and best of all, a yiddishe sevivah where they can sit and tell chassidishe stories to either old rich men or young rich men, without the nosy Brooklyn people sticking their noses in. This is no small feat, and the Hakoras HaTov shows how appreciative they are for all that he does. Most frum gevirim and businessmen I know, who travel to the Far East and other off the beaten path places, and who have their Judaism provided for by the Chabad Shliach are very proud of their guys, and they usually show the proper recognition and appreciation. in case you ask why it takes a few non-Lubavitcher rich ones to support a Chabad shliach, and where is the help from his brothers, and what a disgrace it is that he can't get help from within his own community, remember this: There are thousands of Chabad shluchim that run institutions, and for most Lubavitchers he'd be just another shliach. For the yid who for the most part his Tzedokoh consists of Hachnosas Kallah and Yeshivos, this is unique, and he's excited to give to a cause that he doesn't usually give to. Try it yourself and you'll see how right I am in this regard. The same goes for the opposite; if a shliach comes to one of the few gevirim that Lubavitch has, and asks for a donation, he might get a few dollars, but the excitement just isn;t there for him, he has hundreds of these, like Boro Parkers have Yerushalayimer asking for Hachnosas Kallah. Ask him to give to unique Tzvek and he'll give as well. Many of you may not know that today is the (88th) Yohrtzeit of the Rebbe Rashab of Lubavitch, N"E. Today is also the (40th) Yohrtzeit of the late Skverrer Rebbe, zt"l, father of the current Rebbe in New Square. The Charedi media seems to remember only one Yohrtzeit on this day; Yes, they'll mention his Yohrtzeit in passing, but only so. After all, even if they claim that they have great respect for him, and that they subscribe to his anti-Zionist opinions, still they realize that he's very much part and parcel of the Chabad Lubavitch way of life that they so despise. The stress on Limud Hachassidus for so many hours, and the disdain for the Mitnagdic and non-Chabad way of life is not something most non-Chabad people care to hear, even if it comes from someone like the Baal Hahillula. Far be it from me to not fargin Skver their publicity, G-d knows they work very hard at it, and they're quite successful at what they do. Most people see through the scandal that occasionally emanates from there, and see that most people there are good and fine, and G-d fearing, but so are people that chose NOT to live on Washington Avenue and Clinton Street. They see that in 2008 even people that live in a supposed "closed" environment can be just as exposed to the elements of the world as a Yid living in BP or Williamsburg, despite not living amongst Hispanics and other minorities. Even Skver has learned that the best way to inspire others is to open your homes to other groups and share with them your way of life, even if they look a bit different than you, and have a different taste in men's shabbos footwear, if you know what I mean. May the Zechus of all Tzaddikim protect us, and may we follow in their ways, even if their ways differ slightly, or more than slightly. This comes pursuant to a story on VIN where Jews on a plane caused a ruckus by demonstrating against the movie being shown. They say they were promised that there would be no movie shown. רוף מיך 'סעלף העיטינג חסיד', אנטיסעמיט, ראסיסט, וואס דו ווילסט. אבער אודי לי מיהת אז גערעכט בין איך. עשרה קבין 'מענשטליכקייט אויפן פליגער' ירדה לעולם, תשעה נטלה כל העולם כולו, און דאס איבעריגע איינס האט דער חסיד'שער איד געקריגן, און איר גלייך פארלוירן אין די מקוה. אזוי האב איך איינגעזעהן ווען ס'איז מיר אויסגעקומען צו שפענדעווען מערסטנס צייט פון א קנאפע עטליכע טעג אויפן פליגער, פליענדיג פון דאנעט ביז אהין און צוריקוועגס וחוזר חלילה, מיט א סטאפ אין ליזענסק ביים יומא דהילולא קדישא אינדערצווישן. דער חסיד מיטן פליגער זענען שני דברים המכחישים זה את זה, צוויי קאנצעפטן וואס וועלן זיך קיינמאל נישט דורכקומען. א שטייגער ווי געפילטע קרויט אויף א ליידיגן מאגן, אדער ווארימע מאראנצן זאפט נאך א טעללער טשולענט. דאס גאנצע אפיציעלע פריינטליכקייט מיטן קארעקטן סדר פונעם פליגער ווירשאפט, מישט זיך עפעס נישט גוט אויס מיטן חסיד'ישן פיש-זאפט כאראקטער. דאס געמאכטע העפליכקייט פון די מאנשאפט קעגן די אפענע פרעכהייט פונעם חסיד, פאראורזאכט אן עקספלארירנדע צעמישטער אטמאספערע שוין גלייך פון דער אנהויב, און ווערט נאר ארגער און ארגער עס טיים גאוס אן, ווען די צוויי קעגנזייטיגע פראקציעס נעמען זיך פירן זייער אייגענער קעגנצילנדער ווירשאפט מיט מער אימפעט. די מאנשאפט טוט וואס עס שטייט אינעם בוך, און דער חסיד ווי דער גערוך דיקטירט אים. דאס דורכגיין די זיכערהייט פראצעדורן איז פארן חסיד א גהינום, ער ברויך זיין אין צייט - כאפן א פליגער איז נישט ווי נאכלויפן א מאנראו באס. ער ברויך פאלגן וואס מען הייסט - דער קאסטומס אגענט איז נישט דער משגיח אין ישיבה, און נישט דער שמש אין שול אדער דער שישקענער ביי קדיש. ער ברויך איינהאלטן רעגולאציעס - די פעדעראלע רעגירונגס פלי רעגולאציעס זענען נישט קיין תקנה פון קהל קעגן קידוש מאכן פארן ליינען אדער קעגן ברענגען שמות אין שול נאך ראש חודש ניסן. דעריבער איז קיין וואונדער אז נאך אזא באהאנדלונג שפרינגט דער חסיד פון די הויט ווי דאס יונגל נאך א טאג חדר, וועלכער לויפט ארויס צום באס מיטן קויט אין די האנט, מיט דאס העמעד ארויס פון די הויזן, צעפלויגענע פיאות און שיפע גלעזער אויפן שפיץ נאז, מאכנדיג ליארעמנדע קולות פון פאלשע לעלו סירענעס מיטן מויל, און מאנאווערעס מיט די האנט ווי ער דרייווט ווען א 'פייערלענדזשער' טראק. די איינציגע זאך וואס האלט נאך א שטיקל קשר צווישן דעם חסיד מיטן פליגער, איז דער 'טוילעט'... אההה דער 'טוילעט' איז דאך דעם חסיד'ישן איד'ס ליבלינג. אוואו ער גייט און וואו ער קומט וועט ער זיך גלייך נאכפרעגן אויפן 'טוילעט', זיך ווענדן צום 'טוילעט', זיך אומקוקן אויפן 'טוילעט', באזוכן דעם 'טוילעט', לראות את שלום ה'טוילעט', און זיך דערקוויקן מיטן 'טוילעט'. און טאקע ווי נאר דער חסיד שפאנט ארויף אויפן פליגער הארט נאכער וואס ער טוישט דעם זיץ פארשטייט זיך אנע ווארטן צו פרעגן דעם נאך-אויפשטייגנדער פאסאזשיר פאר וועמען עס באלאנגט, וועט ער זיך גלייך ווענדן צום 'טוילעט'.... דארטן אין דעם 'טוילעט' שפירט ער זיך אינדערהיים, דארט איז ער באקוועם, דארט איז אים גוט. אין איינע פון די רייזעס, גראדע א קורצע, האב איך זיך אויפגעכאפט ווען דער פליגער האט זיך שוין געהאלטן אינמיטן אראפלאזן. די סיט בעלטס לעקטערלעך האבן שוין געארבייט, און די מאנשאפט איז שוין ארומגעגאנגען זיכער מאכן אז אלע זענען פארבינדן צו די זיצן, מיט די גראדע רוקנס און ליידיגע הענט. ווען אינמיטן האט איינער אן 'איש חסיד היה' בכל פרטי' ודוקדוקי' זיך א הייב געטאן פונעם זיץ, און מיט אן אומפעט אריינגעלאפן אין 'בְסקִיסֶע'. און נישט נאר אזוי אריינכאפן פאר א רגע, נאר ער איז געגאנען פאר א ישיבת בית דין מיט אלע מפרשים. עס האט גענומען פאר די מאנשאפט עטליכע אנגעצויגענע מינוטן פון פארצווייפלטע רופן אז 'סויר ווי ארר לענדינג!' באגלייט מיט שטארקע קלאפן אויף די טיר, ארויסצושלעפן דעם צעקניפטן בארד פון זיין באקוועמען מקום מנוחה. ענדליך האט ער זיך ארויסגעריקט פון דארט סעקונדן בעפאר די רעדלען האבן געטאפט די ערד, מיטן פולסטן רואיגקייט, מיט א פארגלייזטן 'אשר יצר' אויף די פארטרוקענטע לעפצן לקדש שם שמים ברבים. דאס, קען נאר א חסיד באווייזן! א פרשה פאר זיך איז דאס דאווענען אויפן פליגער. דער אונטערשטער טייל פונעם פליגער ווערט דאן פארוואנדלט אין א חסיד'ישער קלויז. דער קיטשען איז דער הויפט קרבן. די קאונטערס ווערן עמודים. די משקאות וואס די מאנשאפט האלטן אזוי ריין ווערט נטילת ידים וואסער. און די טעצער אין וועלכן עס ליגט אויסגעשורה'ט די פערטיגע גלעזלעך מיט פארשידענע טרינקווארג ווערט דער סינק. די עטוואס מער איידלע חסידים וועלן קומען בעטן רשות זיך צו וואשן די הענט און פרעגן 'וואָדעֶר, וואָדעֶר, יו העוו עני וואָדעֶר? ', און דאן נעמען אליין נאך בעפאר עס איז דא א שאנס צו געבן, איבערלאזנדיג די העפליכע מאנשאפט הכנעה'דיג פארבויגן מיטן פאלשן שמייכל אויף די לעפצן און דאס גלעזל וואסער אין די האנט איר אנכאפנדיג מיט די שפיץ פינגער. די מער פרעכע וועלן נישטאמאל פרעגן, נאר אזוי שעפשענדיג די קרבנות וועלן זיי אליין נעמען פירן א ווערשאפט. מיט די אויגן אויף אראפ זיך צו היטן פון ראיות אסורות וועלן זיי נעמען 'בעלבאטעווען' אויפן קיך ווי ביי זיך אינדערהיים, נישט פארגעסנדיג איבערצולאזן הונטער זיך אפדרוקן ווי אימער ער האט נאר צוגערירט, אויסגיסנדיג דאס וואסער אויף דער ערד, און איר נאכפאלגן מיט דאס אפוויש פאפיר. אזוי ארום זיכער צו מאכן זיך צו פארשאפן שטרענג אויפגעברויזטע בליקן אויף אים בעת ער ווארפט זיך שוין דאס קערפער אויף אלע זייטן ביי די שמונה עשרה וועלכן ער וועט נישט פארגעסן אויסצוציען לענגער ווי געוועליך כדי צו מקיים זיין די באליבטע מצוה פון טירחא דציבורא לויט אלע פוסקים. א מזל האבן זיי די עירליינס אז ס'האט זיך זיי נאכנישט פארגלוסט אריינצושטעלן א באדע צימער מיט א וואנע אינעם פליגער. אז יא וואלט זי גאנץ לייכט פארוואנדלט געווארן אין א מקוה פארן חסיד'ישן איד, צו כאפן א טבילה פארן דאווענען, און נאך איבערלאזן מאראסטיגע טייכלעך אינעם באדע צימער, און נאסע שיך אפדריקן אינעם גאנצן פליגער. דער ריינער אמת איז אז דער חסיד איז נישט אינגאנצן שולדיג, א טבע קען מען דאך נישט אזוי גרינג טוישן. וואס קען ער דען טאן אז דער חסיד'ישער איד ווערט געבוירן ווי עס קוקט אויס מיט בלאטערלעך אויפן חלק התחתון וואס לאזט אים נישט איינזיצן געהעריג. מוז ער זיך ארומדרייען און זוכן וואו צו גיין און קומען. וואס נאך פארלאנגסטו פון אים, ער זאל נאך פרעגן מיט א געמאכטע העפליכקייט דעם הונטערשטן שכן רשות בעפארן אראפלייגן מיט אן אומפעט און שנעלקייט דעם זיץ זיך אראפצולייגן, פאראורזאכנדיג אז יענעמס גלעזל קאקא קאלא וועלכער ליגט אויפן טישל זאל זיך אויסגיסן אויפן געביגלטן אנצוג. אדער גאר ווילסטו אז ער זאל זיך שעמען אריינצוקוועטשן זיין רענצל אין יענעמס אויבערשטן קעסטל צוקנייטשנדיג מאנטלען און זעקלעך אנע רחמנות. צו פארלאנגסטו ער זאל זען א פראבלעם אין זיך אנכאפן מיט ביידע הענט אויף דעם פאדערשטן שכן'ס זיץ בעת ער סווינגט זיך אריין און ארויס צו זיין זיץ איטליכער מינוט, ציענדיג דעם קאפ-אנלעהנער פונעם פארפעסיאנעלער גוי וועלכער האלט אינמיטן לייענען א סייענס בוך. די אלע זאכן אויפן מאנראו באס טוט דאך נישט ער פאר זיין שכן, און נישט זיין שכן טוט דאס פאר אים, טא וואס איז דען א פליגער אנדערש. מצד דעם חסיד זאל מען נישט זיין אזוי קארעקט, נישט אזוי העפליך, און נישט אזוי שמייכלדיג. אויב וואלט דער חסיד'ידשער איד געהאט זיין וועג, וואלט ער איינגעפירט א סיסטעם אז מען זאל סווייפן דעם מעדיקעיד קארטל ארויצוגיין אויפן פליגער, וועלכער זאל ארויספארן א שעה שפעטער ווי געשריבן. זיצן זאל מען זיך כאפן א שטייגער ווי א פלאץ אויף די פארענטשען שמחת תורה, ווער עס קאפעט מער מענטשן כאפט די ערשטע זיץ, און אז עס ליגט א שטויביגן ביבער היט אדער א צוקנייטשטע רעקל אויף א זיץ מיינט דאס אז עס איז פארנומען. דאס עסן זאל מען טיילן אזויווי מען טיילט עסן ביי חסיד'ישע טישן, עמיצער אן עסקן זאל ארומגיין מיט טעצער פיש פלייש און פערוול העכער די קעפ, און דער עולם זאל כאפן מיט די הענט. עסצייג, גלעזלעך, און באטלעך וואסער, זאל מען ווארפן פון פארנט פונעם פליגער אין אלע ריכטונגען און טיכטיגע בחורים זאלן עס כאפן צו פארטיילן פארן עולם האלב און ס'איבעריגע באהאלטן אtונטערן זיץ. מנינים זאלן זיך שטעלן יעדע צען מינוט צווישן די זיצן, און עסקנים זאלן ארומגיין מיט פושקעס פאר פארשידענע צוועקן. פוירסט קלעס זאל אויך קריגן א ווארימע מקוה, פארשטייט זיך אז אלע פון עקאנאמי קלעס וועלן זיך אויך אריינשטיפן אהין. All this YTV talk made pull out the Artscroll version of events and see for myself how they sterilized it all. Even after all those years of seeing their work I was still surprised to see what they made of it. Some it seems so "knee-jerk" and unnecessary that it's just laughable; they didn't need to do that even according to their standards, but they just couldn't help themselves. One example that comes to mind is the discussion over the "Malach." Here's an opportunity to bash Lubavitch good, and portray him as the true Chabad, and they miss it! Instead they make him into some hybrid Litvak/chossid who was a "talmid" of Reb Chaim Brisker, and who learned chassidic books, with the emphasis on Tanya. No mention of Lubavitch when describing him at all. What they DO write is that RSFM would go to him to get the Lubavitcher Mesorah on Tanya, a sefer RSF had been learning on his own for years. 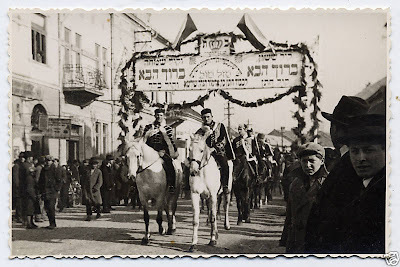 How does a Brisker know the Lubavitcher mesorah on Tanya? beats me. One of the lesser known events in the life of YTV is the split that happened when Rav Dovid Leibowitz, a great nephew of the CC left the yeshivah after 7 years to start his own operation, al pi derech Slabodka. He had started out in YTV only "by chance." 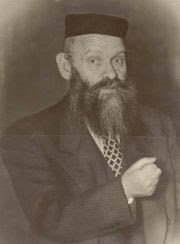 According to the AS book he had been here in America collecting funds for the Kovno Kollel when he was asked to stay here and head the YTV. 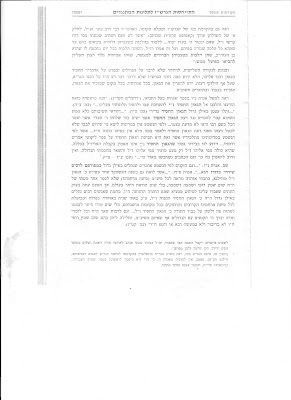 After six years of study it was mandatory for every yungerman to go collect funds for the others leaning there, so that's what Reb Dovid went and did. 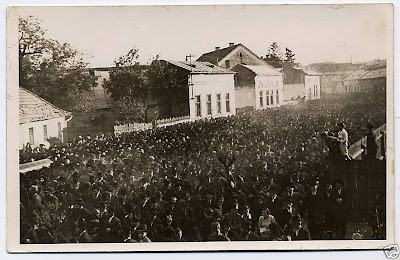 For seven years Reb Dovid taught there diligently, and was zoche to "make" some fine Talmidim, many of whom went on to the yeshivos in Lithuania. Then, inexplicably if you read the AS version, he decided that he wanted a yeshiva like Slabodka, where he once studied. I would imagine RDL was not happy with the chassidic side of the yeshiva, he was a Litvak after all, so he decided to take what he learned as RY in YTV and start his own place. Some went along with him, and some stayed loyal to their Achsanya, appreciating what YTV had done them, and choosing not to turn their backs on the place and RSFM. I applaud a few of the things I see here, although it seems to be a Purim shpiel video, but the footage is real and not from Purim:: I like the fact that Rebbis here "loz zich arop" to the talmidim, and even play a little table tennis and air hockey with them. The bochur sees that there's hope for him even if he likes sports, a Rayeh from his Rebbi who once obviously liked sports and today became a shtikkel talmid chochom. The fact that kids are allowed to go totally bonkers every night also may work in their favor; they seem to thrive on that, and don't seem to need other diversions. I hope I'm not sounding naive here; it's been a while since my Yeshiva days. I may have said this before, but it bears repeating. I see how many in the American yeshiva world have taken to educating their children, and I'm impressed. Israel is another matter altogether; they don't seem to be this advanced there, and much of the good qualities of American chinuch get lost on the kids when they travel to learn in the "yeshivos kedoshos" of Israel. These kids seem to be all-around happy kids, enjoying learning because they know that they could also have fun. It's sort of like there's this approach of "have as much fun as you'd like, as long as you learn well." These kids seem to be well-versed in popular culture, and are proud to display their knowledge to the world. In most chassidishe yeshivos this ends justify the means approach is a no-no; most boys are ongeshtrenkt all the time, presumably from the pressure that's put on them to follow the very strict lifestyle that's demanded of them. I doubt you'd see a video like this, even for purim. I was asked to write about YTV, and the ensuing splits and breakups, so I'll give it a shot. I welcome any and all corrections. The truth is I'm not that familiar with all the details; There may too many to count, really. I'm sure some people were angry that the school opened in the first place; there was RJJ just across the bridge, on the Lower East Side, so why the need for another Yeshiva? "You think you're better than us, Mr. Wilhelm? Our school is not frum enough for you? Your boys can't cross the bridge like everybody else does? I can imagine the screaming going on somewhere in Williamsburg. But Mr. Wilhelm held his own and the school was opened. Then, when "Mr. Mendlowitz" came to town the school really picked up, although most kids still went on to eventually become Mechalelei Shabbos anyway. Such were the times. They started a high school, a mesivta if you will, and the first fruit were soon to be soon on the streets on Willy and the rest of New York. There were boys that became men, and they continued to practice as Jews, even while all their buddies left the fold. All thanks to the mesivta. Then the first troubles began. 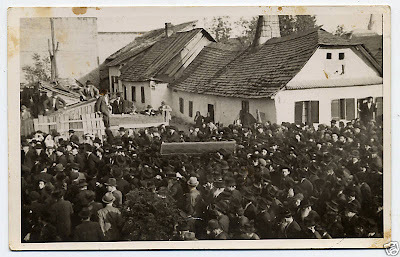 It all began when a (Hungarian) lawyer named BenZion Weberman made an innocent-looking trip to the Kantrowitz Hotel in Woodridge, New York. That's where Jews would spend the hot, pre-air conditioning summer days, in one of the many Jewish-owned hotels in the "Borscht-Belt." 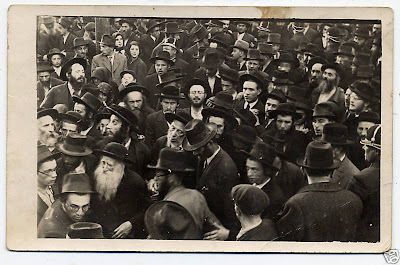 When BZW announced that he had found a Rebbe, an old man with a long white beard, a Malach. BenZion had seemingly been looking for a Rebbe for himself and his kids, and had been disappointed with the slim pickings available in America. I'm not sure what kind of reception he got from the old man, since the old man didn't like clean-shaven men in modern clothes, but BZW didn't seem to be fazed by that, he still was very much intrigued by him, and wanted his kids to be educated by him as well. He soon found out that the old man is the Rabbi in a nusach Ari shul in the Bronx, and lives there as well, so he began to send his kids there, to be taught the holy texts by the holy man, and the change was soon visible in all of them. Soon, together with the change in dress came the change in theology, and that's where the first splinter happened.